Get answers to the most often asked questions about finding a piano teacher who best fits you, your children, and your interests. How do piano lessons typically work? Learning a musical instrument is similar to learning a foreign language in that it requires time and regular practice to become fluent. Because of this, lessons occur at least three times per month (except for July) and the student needs either an acoustic piano or a full size keyboard with weighted keys at home. Yamaha makes an excellent digital piano with a good track record for durability and customer service. For a less expensive but not as durable option, there is the Williams brand. Of course, an acoustic piano is usually better than a digital. What makes you a good choice as a teacher? My educational background is unique in that I have a B.S. in piano and a Ph.D. in psychology. I have experience as an elementary school teacher, a college professor, a choir director, a private tutor, and as a piano teacher. The common thread in all my teaching is the use of positive reinforcement to motivate and inspire my students. My years of experience enable me to come up with creative ways to present material quickly, as needed. My students typically sail through two levels of the piano method books per year, and I provide fun incentives for hard work. For the 2018 - 2019 school year, rates will be $65 per month for a regular half-hour lesson. I provide all books, materials, and a minimum of 30 lessons. 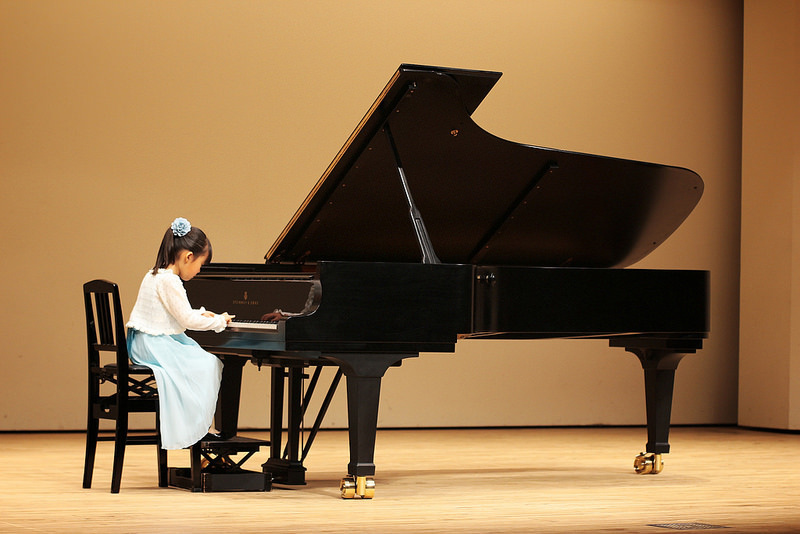 Because most music lessons are private one-on-one tutorials, the cost is a bit higher for piano lessons than for some group activities where the instructor has many students at once.